Thank you for registering with the LSFC April School Holiday Football Clinic. Tuesday 23 April 9:30am- 2:30pm Wednesday 24 April 9:30am- 2:30pm (please arrive at 1:40pm for presentations) If the weather looks ominous (raining heavily), call Tom on his mobile 30 mins prior to the starting time of each day on 0414-595-652 Further details will follow closer to the start of the clinic. This School Holiday clinic has been running at our club for around 20 years and is held at King George Park in Rozelle. The clinic is open to all players under 14 (girls and boys) registered with our club.. This years clinic is offered as a 2 day clinic due to the Anzac Day Public Holiday on the 25th. We can offer tickets that include lunch or where players can bring their own lunch. All attendees must be signed in each morning and out each afternoon. 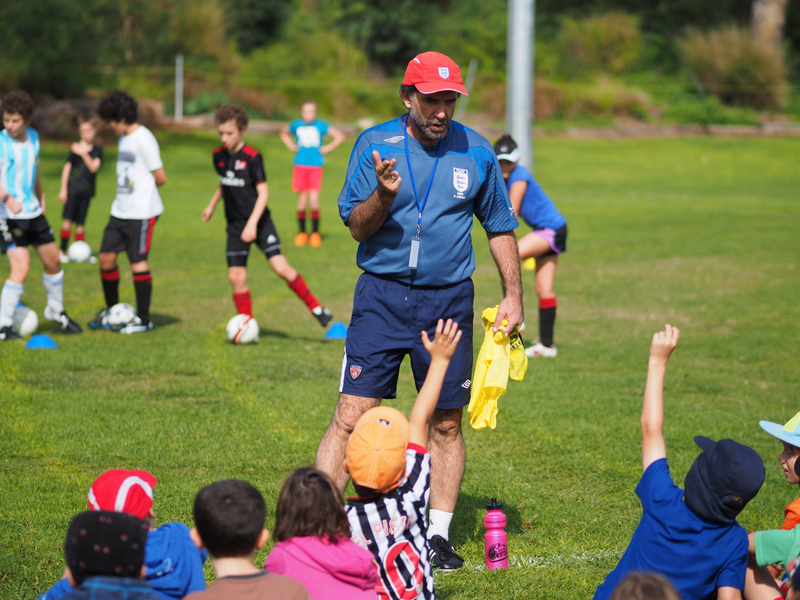 The Players' Football Clinic is run by the club's Coaching Director, Tom Alexakis, (UEFA A Diploma - The Football Association, AFC A Licence - Football Federation Australia) and will be ably managed by Life Member Sam Cosentino, as in previous years. It is only open to players currently registered with Leichhardt Saints. It is a fully accredited clinic, which includes presentation of a NSW state recognised certificate for all participants. Wednesay 24th of April is the presentation day and we ask that all parents arrive at 1:40 pm, as the presentation will start at this time. It is mandatory for the children to wear football boots, football socks and shin pads. It is also advisable to bring along a cap, sunscreen, warm clothing and a carry bag in which to place all of the children's personal belongings, as well as a water bottle. If your child has any any medical information you would like us to be aware of (e.g. asthma) it is important to mention this to Tom Alexakis or Sam Cosentino on the Tuesday morning or in writing with the payment. All children involved over the two days at King George Park must adhere to any instructions given by the coaches and officials. All payments are to be made in advance and all participant's names are to be checked off each morning. 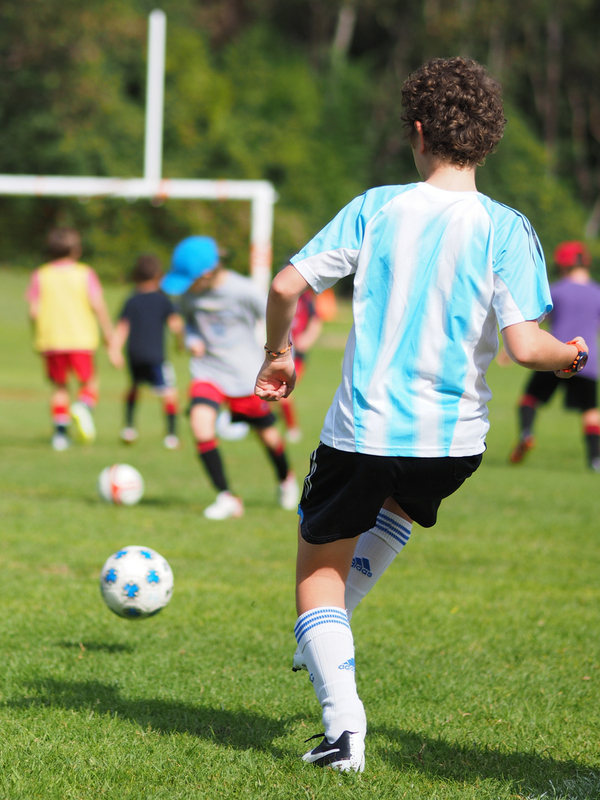 Parents/Carers are permitted to drop off children/participants slightly earlier (8:45am), BUT once signed in they MUST stay within supervision of a club official/coach. All participants/children MUST stay within supervsion of an official/coach, until officially signed out for the day.